Recently, I attended the annual meeting of KC Rising, a business-led partnership to promote economic growth in the Greater Kansas City region. It was interesting to see how they are dealing with some of the paradoxes that are common in this work. The first is that while transforming a regional economy is a long-term process that can take a decade or more, the plans developed at the outset of that process tend to lose their relevance after a couple years due to changing conditions on the ground and advances in the field. I’ve observed that pattern in the dozens of regional partnerships I’ve studied over the past decade, and found that, on average, the half-life of the plans developed at the outset is somewhere around two years. 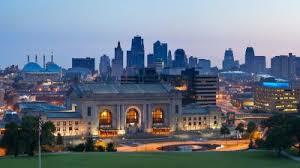 If they follow through, rethink their strategy, and make the leap to 2.0, KC Rising would be the exception. Few regional partnerships outlive their original plan. You can often still find them on line, but their websites haven’t been updated in years, leaving them in a state of suspended animation. Most of the time, the original plan has been superseded by another round of planning under different auspices, but often involving many of the same people. It is through this iterative process (more like pick-up basketball than a re-election campaign) that most regions manage to keep their plans relevant and their long-term efforts moving forward. The second paradox is that while regions are the basic unit of global competition, regional partnerships are bound to come up short if they only focus their efforts at the regional level. I’ve noticed that when regional partnerships are just starting out, they tend to take an “all regional all the time” approach to their work. However, once they have been at it for a while, they often find that there’s a limit to what they can accomplish at the regional level without building more capacity at the local level. One reason is because most net new jobs come from the expansion of existing businesses. Those growing businesses require services customized to their particular needs, which in turn requires a lot of personal interaction. In other words, a good ground game. It turns out that it’s very difficult to conduct a good ground game from the regional level. Another reason is because it’s impossible to sustain economic growth if some communities end up being left behind. Those struggling communities require comprehensive and coordinated services to meet their particular needs, but they often lack the resources to provide those services on their own. So some resources need to come from the regional level. In Kansas City, regional economic development efforts and local community revitalization efforts have historically gone down separate tracks, even though some of the same organizations are involved in both. But that appears to be changing. There are currently discussions under way within KC Rising about how to leverage regional assets to strengthen and sustain more place-based community revitalization efforts. A third paradox is that while the actual work of regional partnerships is best carried out through discrete projects, regional partnerships can lose sight of the big picture and long-term goals if they become too project-focused. I’ve observed that most regional partnerships carry out their work by organizing work groups and giving them responsibility for carrying out particular pieces of the plan. Because the backbone organization can’t do everything that’s needed on its own, particularly as the work expands, those work groups tend to rely heavily on volunteers and loaned staff, who work on particular projects, often moving on when their project is completed. The projects are typically overseen by a steering committee, also made up of volunteers, who also tend to come and go. After a couple cycles of leaders and members coming and going, it can be easy for steering committees to lose sight of the original plan, and for projects that require long-term investment to get lost among competing priorities. Moreover, as the work expands, steering committees often end up getting consumed by operational issues, leaving them little time or capacity to provide strategic direction to the work as conditions change and the plans begin to lose their relevance. Without strategic direction, the work becomes fragmented and success becomes defined by the outcomes of individual projects, particularly if funders are demanding measurable short-term results. I’ve concluded that the key to avoiding this “project trap” is to maintain a small, stable core group of leaders who provide ongoing strategic direction to this work over the long haul, and who make sure that projects are designed to transform existing systems, rather than work around them. To some extent, that kind of strategic leadership is already in place in Kansas City, made up of the leaders of the four partnering organization that support KC Rising. In the leap to KC Rising 2.0, it will be important to strengthen and sustain this vital core group. This entry was posted in Regional Growth on April 8, 2019 by Pete Carlson.